In one way or another, much of today’s commercial drone development revolves around video. Technology options range from single-chip solutions to complex networked arrays. Commercial drones represent one of the most dynamic, fast-growing segments of embedded systems design today. 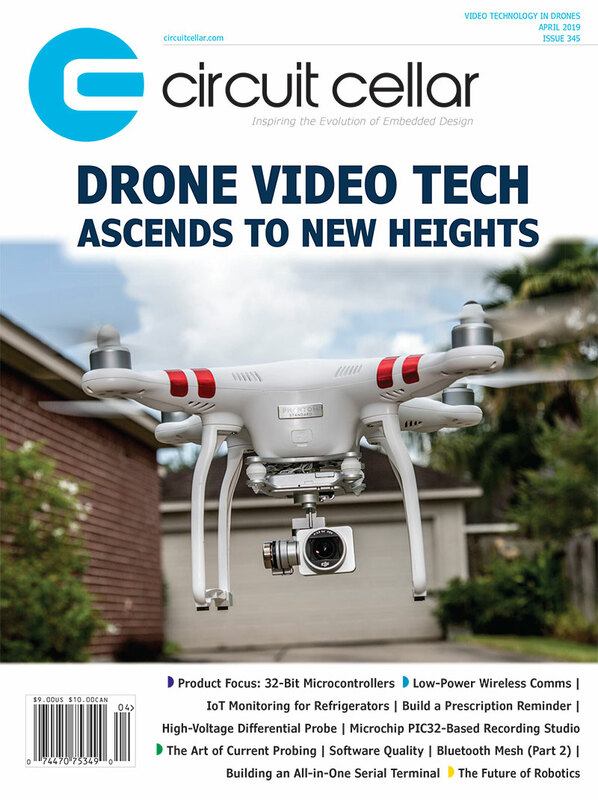 And while all aspects of commercial drone technology are advancing, video is front and center. Because video is the main mission of the majority of commercial drones, video technology has become a center of gravity in today’s drone design decisions. But video covers a wide set of topics including single-chip video processing, 4k HD video capture, image stabilization, complex board-level video processing, drone-mounted cameras, hybrid IR/video camera and mesh-networks for integrated multiple drone camera streams. 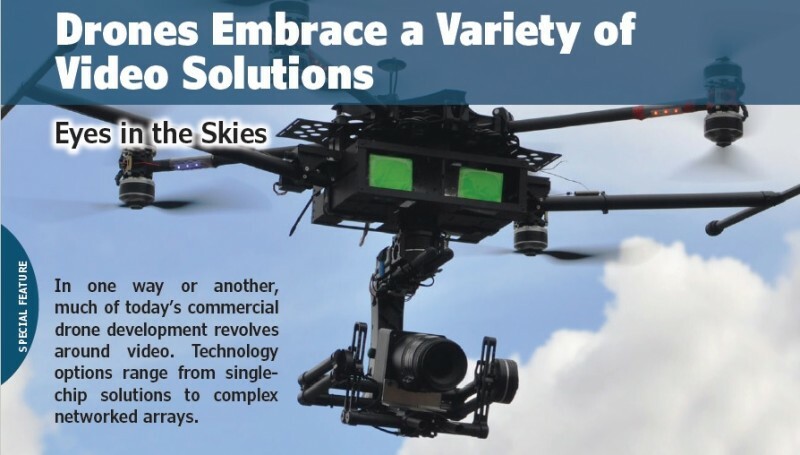 Technology suppliers serving all of those areas are under pressure to deliver products to integrate into video processing, camera and communications electronics inside today’s commercial drones. Drone designers have to pack in an ambitious amount of functionality onto their platforms while keeping size, weight and power (SWaP) as low as possible. Feeding these needs, vendors at the chip, board and system-level continue to evolve their existing drone video technologies while also creating new innovative solutions. 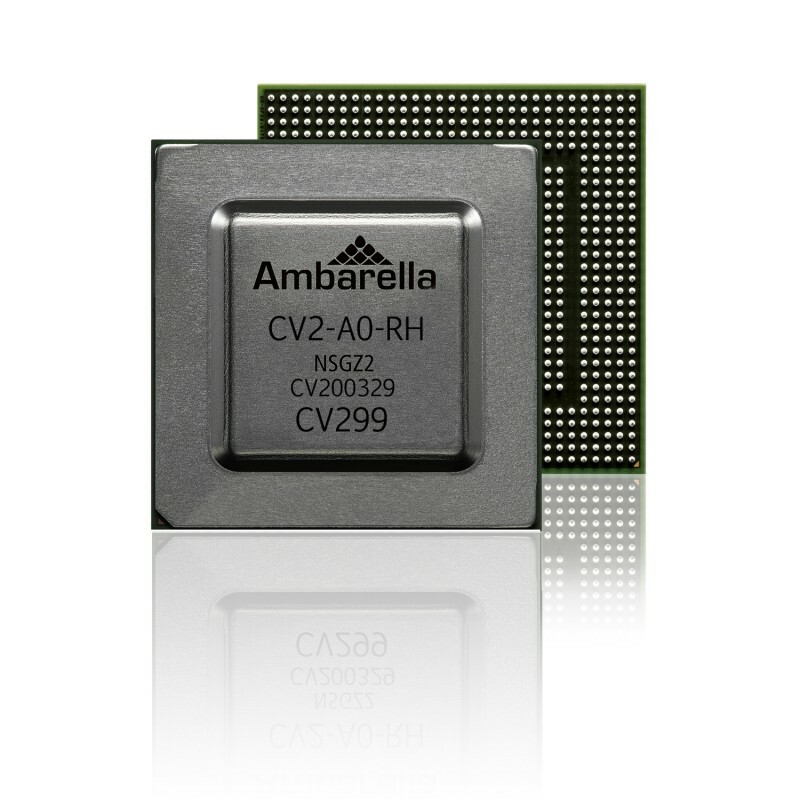 Exemplifying the cutting edge in single-chip video processing for drones, Ambarella in March introduced its CV2 camera SoC (Photo 1). It combines advanced computer vision, image processing, 4Kp60 video encoding and stereovision in a single chip. Targeting drone and related applications, the company says it delivers up to 20 times the deep neural network performance of Ambarella’s first generation CV1 chip. Fabricated in advanced 10nm process technology, CV2 offers extremely low power consumption. The CV2 camera SoC combines advanced computer vision, image processing, 4Kp60 video encoding and stereovision in a single chip. The CV2’s CVflow architecture provides computer vision processing up to 4K or 8-Megapixel resolution, to enable object recognition and perception over long distances and with high accuracy. Its stereovision processing provides the ability to detect generic objects without training. Advanced image processing with HDR (High Dynamic Range) processing delivers outstanding imaging even in low light and from high contrast scenes. Its highly efficient 4Kp60 AVC and HEVC video encoding supports the addition of video recording to drone platforms. At the heart of the CV2 is a Quad-core 1.2 GHz ARM Cortex A53 with NEON DSP extensions and FPU. CV2 includes a full suite of advanced security features to prevent hacking, including secure boot, TrustZone and I/O virtualization. A complete set of tools is provided to help embedded systems developers easily port their own neural networks onto the CV2 SoC. This includes compiler, debugger and support for industry standard training tools including Caffe and TensorFlow, with extensive guidelines for CNN (Convolutional Neural Network) performance optimizations. This entry was posted in Archive Article, CC Blog and tagged cameras, drones, graphics, Image Processing, infrared, IR, Mesh Networks, SoC, video by Circuit Cellar Staff.